When you had a bad experience with a company a decade ago, you shared your disappointment with family and friends which could be between 10 and 200 people. 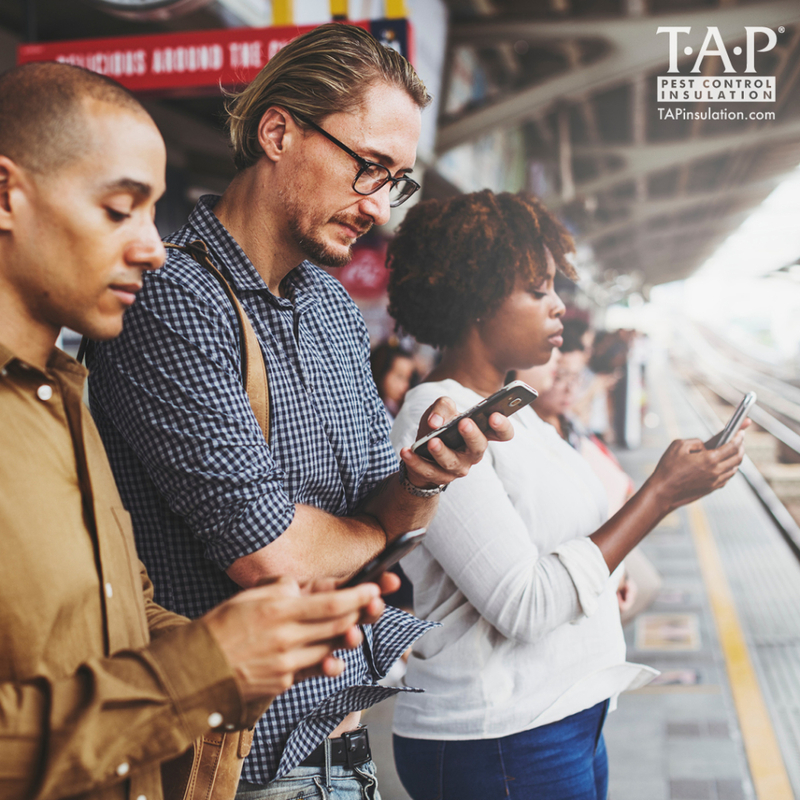 Today, however, more than half the world’s population interacts with one or more social media platform on a regular basis. This greatly expands the influence and reach of today’s customer. One post that is liked, shared, and retweeted could potentially greatly impact your company’s brand. Facebook has 2.072 billion users and 1.57 billion active daily mobile users. Twitter has 100 million active daily users with 80% of those users accessing the platform via mobile. Instagram has 500 million active daily users and 4.2 billion likes per day. Snapchat has 187 million active daily users and 10 billion daily photo views. Youtube has 30+ million active users daily with the average user spending 40 minutes per week viewing video content. Pinterest has 175 million active pinners and 87% of these pinners consult Pinterest prior to making a purchase. Also, according to www.retailtouchpoints.com, 86% of women will look at social media before deciding to make a purchase. With so many eyes on your business today and multiple vehicles to share experiences with a global audience, it is critical for companies to be prepared if and when a social media crisis arises. Don’t allow anyone on your team to blatantly lie in an effort to save your brand from total embarrassment. Why? You want to avoid adding fuel to the fire. Honesty is critical in battling online occurrences. Avoid desperate attempts to save your company’s reputation. Don’t ask all your employees to use their personal social accounts to flood your social company’s channels with positive messages. Why? Regardless of the intent, you don’t want your employees to get caught up in the drama and escalate the situation unintentionally. The key is to control the situation and re-write the narrative. Don’t attempt to counter negative comments by creating fake social accounts in order to leave supportive comments on your website. Why? Social media is based on truth and transparency. Nothing on the internet stays buried long. When you’re caught in such an attempt, you will lose the trust of your customers and fans which is nearly impossible to regain. 1. Utilize social listening. This is accomplished by monitoring your current social platforms and hashtags, utilizing google alerts, and observing frequently reported issues pouring into your call center or office. 2. Put your policy in writing. Create an internal alert process and response flowchart. Distribute it to all leaders within your organization. Educate everyone to a level playing field with very clearly outlined directives. 3. Take a pause. Stop all messaging such as social media posts, email, and advertising until the situation is resolved. In the public’s eye, business as usual behavior during a crisis conveys that you aren’t aware or concerned with the situation. If you work with a third-party consulting firm to handle all your social media and marketing, make sure to inform them of the issue and seek their input. 4. Notify your vendors. Word will get out, and timing is critical. Allow vendors to hear from you first, so they understand the situation and your company’s plan for resolving the event. 5. Create a crisis FAQ. Your FAQs should include acknowledgment of the issue (not accepting fault at this time), details of the occurrence, how the crisis was discovered, potential effects to the product(s)/service(s) you provide, and steps taken to resolve the event and prevent future occurrences. Publish it to your website and social channels. 6. Create an Outlet. Provide a location (i.e., phone number, email address, website form, or social group) where the public can share their concerns, frustration, or support. When comments do begin to trickle in, use the rule of two. After two responses with a particular poster, invite them to contact you offline via phone or email. 7. Get Visual. Share video and photos of your team resolving the issue. These can be powerful and disarming. Use caution, however, to proof everything multiple times prior to posting. 8. Express gratitude. Once the situation has resolved, show appreciation to your internal and external customers for their support and patience. This can help your company gain brand ambassadors and even may bring in new customers who were watching from the fringes of the social sphere. 9. Evaluate. Review how your team did during the crisis and revise the steps needed for the future. In addition to social media platforms, social media crises can happen by way of crowd-sourced review platforms such as Angie’s List, FourSquare, Google, and Yelp. Your company serves a diverse population, and you will never please everyone. The key is to be proactive by having a plan in place to empower your team to resolve any crises that arise.